If you don't know your way around an online casino yet, this brief but informative guide can tell you what you need to learn about the latest bonuses. After all, if you are going to sign up, you may as well take advantage of match bonuses and free chips. 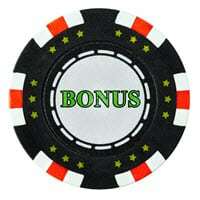 The basic online casino bonus delivers a percentage match on the funds a player deposits into his member account. While a player does get free money to play with on top of his deposit, the attached rules and restrictions limit when and how these funds can be withdrawn. In many instances, real money wagers must reach a calculated number before the “free” money is accessible (Cashable Bonuses). 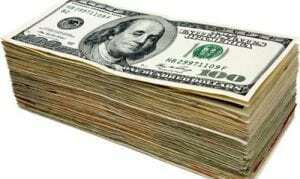 Nearly every casino distinguishes between the player's real money and free money. In some cases, the funds provided by the casino as the match bonus are subtracted from the withdrawal total. If a player has been really lucky, this scenario won't matter much. On the other hand, a small win could actually mean that the player does not get anything at all. As you can see, match bonuses are great incentives to get a new or existing member to play, but they don't always pan out in the end. If you do not have a lot of disposable cash to use, match bonuses offer an excellent opportunity to get in on the fun, even if you may not find yourself in the winner's list at the end of the day. One fact that is extremely important to remember is that online casinos love to switch up their bonuses frequently. The basic idea behind this strategy is to keep their online casino in the spotlight. 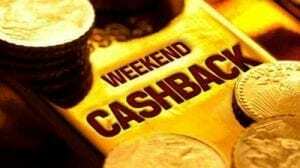 With new bonuses appearing regularly, the latest reviews are going to mention them along with the casino's name. This is great news for players, because they gain access to a large collection of casino promotions and perks, making it easier to enjoy online gambling with less money coming out of their own pockets. • Larger casinos have better bonus offers. • Every bonus has requirements attached to it for wagering and/or withdrawals. • Free spins are often included in welcome bonuses. • Many online casinos have no deposit bonuses to entice new players to join. • Loyal players receive better offers. • Match deposits are often available on multiple transactions, including first, second, third, fourth, and fifth deposits. If a bonus code is attached to a special offer from an online casino, the code must be entered according to the specifications attached to it. 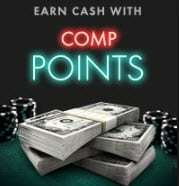 Generally, the player must enter the code at the time of signing up for a new member bonus or place the code prior to making a deposit on a specific game. Most bonuses are redeemable for a percentage match on the deposit up to a predetermined amount or for free spins in a specific game. Quite often, bonus codes are short. They usually include a word or letters with some numbers. 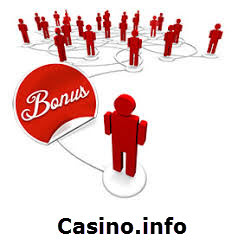 Typically, bonus codes are readily available on the casino's website. Special promotions are often emailed to player's who have been chosen to receive them. Since most online casinos offer multiple bonuses, players can pick and choose which promotion they intend to enjoy. Before taking advantage of a particular bonus, a player should review the terms to determine how favorable they are. 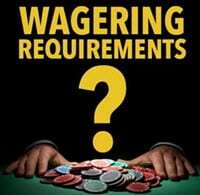 Some players may consistently place large or frequent wagers, so a wagering requirement of 30x may not seem harsh. If the playthrough terms are too strict for your liking, you can always check out a different bonus to enjoy. Since every wager you make counts toward the wagering balance you need to achieve, even small amounts add up, sending you toward your goal. Most deposit bonuses feature two components – the match percentage and the maximum reward. The match percentage provides the information to calculate your reward, while the maximum identifies the limit on the bonus. For example, if you claim an offer labeled “200% bonus up to $200,” then you only need to deposit $100 in order to max out your bonus with a reward of $200. If the promotion is labeled “100% bonus up to $200,” then you must deposit $200 if you want to receive the full value of the match bonus. Online casinos like to tempt new members with a welcome package that delivers some type of match bonus and/or free spins. It is important to read the requirements because the match bonus offered by some welcome promotions require multiple deposits in order to collect the full amount. Most likely, the match percentages vary from one deposit to the next, so you should calculate the total sum of money you would need to spend before claiming the full bonus. The most important point to understand about match bonuses is that no guarantees exist. At best, you get lucky and win enough money after meeting the wagering requirements to withdraw. At worst, you spend a lot of money and have nothing to show for it but hours playing online. For the best results, choose your casino and bonus carefully. Look over playthrough requirements, withdrawal limitations, and percentage variations before you claim a bonus and deposit your funds.